Cricket is more than a game of batting balls and fielding. Far more than promoting endurance and firming up muscles, cricket has been proven to enhance the mental acuity of players in several ways. Truth be told, cricket is considered as Australia’s niche sport. It may be widely played across the world, yet the passion and allegiance to the sport is unlike the Aussie’s way. Fortunately, over the years, the sport has evolved to include an indoor format, which can be guiltlessly enjoyed even on rainy days. If the patriotic sense is strong in you and you’re looking for a physical outlet to destress, consider indoor cricket. Here’s how it helps benefit your mental health. All competitive sports impose pressure on players. In the case of cricket, knowing how to proceed or what action to undertake when the ball is caught by the opposing team’s fielder requires strategy, right then and there. You cannot panic, lest you make wrong moves, faulty decisions. More so, in this game, each player is made more visible to the public because of the different roles and relatively wide grounds on which they are evenly spread compared to other sports. So the pressure to deliver is real. If you want a collaborative way to practice maintaining grace under pressure, I recommend playing indoor cricket. Psychologists nowadays are finding creative, less harmful means for angry people to displace their high-intensity emotions, besides wrecking properties, getting into vices, and shouting hurtful words. I know it sounds crazy but to a certain extent playing cricket gives me an avenue to de-stress and displace my anger or worries on the ball. Mind you, batting a ball right on target can sometimes be a psychological relief, especially when you imagine that a ball is an enemy, a problem, or even a goal. Of course, I won’t recommend doing so during the actual game, instead during practice, possibly with a machine-assisted ball feeder. Some indoor cricket stadiums in Melbourne have advanced facilities that you can take advantage of. Here, I’ll explain confidence in two layers – confidence due to the positive physical change and improvement in performance. An indoor cricket demands agility, precision, and endurance, particularly that during rehearsals you may be trained to play either the role of a bowler or a fielder. The game demands that you run, sprint, bat, catch, and then run again. Things can also get pretty intense when the crowd runs wild with their cheers. Basically, I’m saying that losing weight and getting in shape becomes way easier with indoor cricket. For us women, managing our weight well and staying attractive is already a milestone. Secondly, a female cricket player becomes even more confident in her performance at work or generally in life because the game gives you the avenue to score runs regardless of the attempts. Psychologically, this helps a person thrive through difficulties and continuously forge on until an accomplishment is made. Lastly, playing cricket increases your focus. They say that successful people are those who have their eyes on a goal and get things through the bitter end. In a typical cricket game, both focus and perseverance are being tested. The mere act of hitting a ball already necessitates concentration, even more so when you have to guard a wicket amidst nuisances. Indoor cricket also brings a host of physical benefits, including improved cardiovascular fitness, muscle strength, and endurance. You, therefore, not only have fun but also take good care of your health and foster social relations. In Australia, you will not have a difficult time finding women’s cricket clubs as cricket is our forte like chocolate is to the Swiss. I encourage you to try playing and know where I am coming from. Treadmills are a great way to keep your heart pumping. It’s also the best way to break a sweat when you want to lay off the calories you’ve eaten. Having a treadmill at home is one of the best investments you can do for your health. There are times when you won’t be able to go to the gym because it’s raining or the nearest gym is miles away. In case one of those things happen, you at least have this gym equipment that will keep you healthy even on lazy days. The first on the list of factors is budget. Before you even go treadmill shopping, you should first know how much you are willing to spend on a treadmill. Unlike the other factors, your budget is non-negotiable. 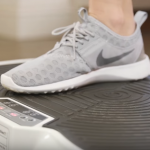 This means that even if you are eyeing this top-of-the-line treadmill but you don’t have the cash for it, then it should be ruled out of your options. At the same time, research on the average price of a treadmill based on brand and quality. This will help you get an idea of how much you have to shell out so that you don’t end up being surprised at the equipment store. Similar to your budget, the available space in your home should be considered because the space in your house remains the same unless you rearrange all your things. If you have limited space, then you should consider looking for foldable treadmills that are also lightweight. Although they are more expensive than the standard ones, they can be a great advantage for homes with limited space. The speed and incline are factors you should also consider. If you plan on using your treadmill for running, then look for one that can go up to 10 mph in speed. A good treadmill also has at least a 10% incline. On the other hand, if you are training for running outdoors, the treadmill should be able to have a decline feature. Added features affect the price of the treadmill. The more extra features it has, the more expensive it will be. 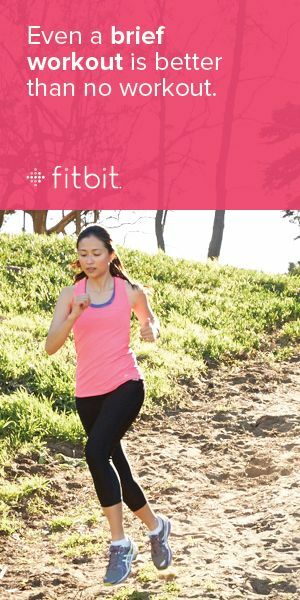 Valuable features to have are sensors that check your heart rate and the number of calories you’ve burned. This will help those who are on a weight loss program since the tracking is done in real time. Moreover, there are features that offer different running and walking modes depending on the goal of your exercise. There are some treadmills that have jug holders and entertainment systems that make it easier for people to exercise. If you’re on a budget, what you can do is look for a rod where you can attach your phone or tablet, or simply face the treadmill towards the television. Last but not the least is the design. Some people think that it does not matter how the treadmill looks as long as it serves its purpose. However, when your treadmill looks sleek and inviting, the chances of you getting on that equipment is higher. 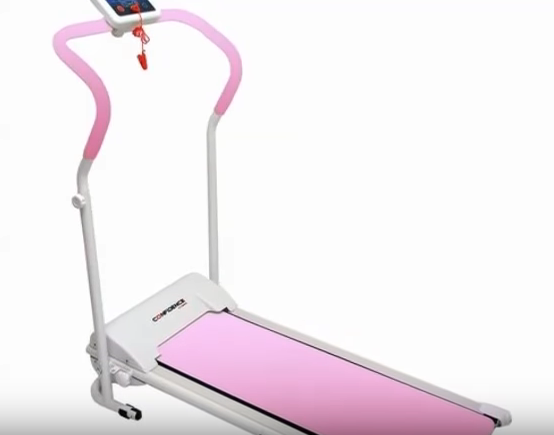 Take, for example, buying a pink treadmill in Australia. Some would think that it’s vanity speaking when you want your treadmill to look a certain color. But there are treadmills that go beyond the aesthetic. 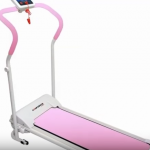 Behind that pink color could be features made specifically for women who use treadmills. Buying a treadmill should not be difficult. With so many options to choose from, it will only take you a few moments to decide especially when you already know what kind of equipment you are looking for. Besides, when you’ve narrowed down your choices based on the factors mentioned, then it’s going to be a relatively easy decision to make. Anyone can experience a twisted ankle at any time, so it doesn’t really seem like a big deal. In fact, normal sprains, in my experience, just tend to go away on its own after a few days or two weeks maximum. So when a family member started complaining about his foot, I did not take him seriously. However, he began to suffer from extreme pain, which I thought was also not normal. When he still couldn’t put even just a little bit of weight on it within one week, it was a sign that it was not healing as I expected it to. Reading a bit about these types of injury and how to treat them, I chanced upon physiotherapy as an option. Because it seemed like the best solution, we went to visit Wyndham Physio and Rehabilitation in Werribee. During the first consultation visit, the therapists assessed the damage on his foot. Though “normal” sprains do not warrant more attention, there are worse cases as well. In these instances, some ligaments might have been ruptured, or bones might have broken. An X-ray or a CT scan would be necessary to determine the severity. Afterward, the specialist informed us that rehab exercise was needed in order to ease the throbbing and regain his mobility. The experience taught me a lot about the fragility of the ankle, and how dangerous sprains can be. In fact, those who are very active like athletes who run or train a lot, are most at risk. Once one of your feet gets twisted and proper healing does not happen, the damage to the ligaments and bones can remain there unnoticed. After twisting the foot, the first step is to follow PRICE: Protection, Rest, Ice, Compression, and Elevation. Protection means that the ankle should be wrapped or kept in a brace, a walking boot, or you should even use crutches to keep weight off of it. Rest should be done, not just because movement would be excruciating, but also to reduce further damage to the ligaments. Applying ice is necessary to stop the swelling and soreness. Doing this for 20 to 30 minutes every 2 to 4 hours, in the beginning, should be enough. Compression means using a bandage or other taping to support the injured tissue and decrease inflammation. Elevation means keeping the foot higher than the heart will help address the soreness. Upon the first visit to a physiotherapist, he/she might employ some methods to make it hurt less, either massage the painful area, mobilizing the joints or even using acupuncture. Anti-inflammatory medication might also be prescribed at this time by the specialist. Otherwise, taking paracetamol can help as well. At this point, it is vital to consult an expert to help the torn ligaments reattach and heal through proper exercise. Without this, it will still repair but it might end up rigid. Starting the process with the appropriate movements will avoid this and encourage flexibility back on the ankle. Those who have a history of previous sprains should definitely turn to a physiotherapist as a stiff joint can make you vulnerable to future problems like calf and leg injuries and even back pain. Again, just because a twisted ankle will mend by itself, it doesn’t mean that all is well. Those who walk or run a lot should seek the advice of a professional to ensure a true and full recovery. During the physiotherapy, the exercises should increase in complexity as well in order to slowly build muscle strength. This means progressing from no weight bearing on the foot to partial and finally to full weight. Athletes will be guided to ease them back into their normal routine. 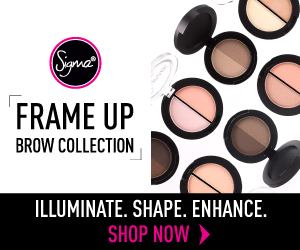 All of these will be part of your plan designed specifically during your first consultation. In short, there is not just value to be gained in consulting with a physiotherapist following an ankle sprain. Not only does the pain immobilize you, but this lingering doubt in your mind is also enough to tell you that self-medication will not work. As with the case of my family member, regaining the use of his foot and being able to go back to his active lifestyle was the reward for going for professional help. Only by going through all the steps outlined above can there be a full and real recovery. As for me, personally, I learned not to take things like this so lightly. I learned that what seemed like a small accident could bear fruit to such serious damage and future problems. However, experts are there, with their knowledge and capabilities, to handle exactly these situations. So go and consult with a physiotherapist immediately. Seeking treatment from a specialist means targeting the root cause of the problem. From diagnosis to intervention to recovery, every step is targeted with accurate management. We acquire stress almost every day from various sources such as the many responsibilities at home, demanding tasks at work, the city traffic, the environment filled with too much pollutants, uninspiring news about crimes, and others. And more often than not, there is no escape to stress because the demands of today’s lifestyle is seemingly fast-paced and highly competitive. It goes without saying that we cannot live without it however, we can cope with it in many different ways. One of which is engaging into music. When we let stress to just pass over time, we’re not actually doing the right thing. We just let our body suffer from the torture of unwanted stress. If we don’t address it properly, it can hugely affect our behavior and overall health. To combat stress, there is nothing more effective than engaging in physical activities. Surely, no one will argue about its effectiveness and benefits. One great example is playing the drums on your own, with other people, or as background music to other activities like aerobic exercise. But playing the drums in particular has numerous health benefits that you can’t get from conventional medication. 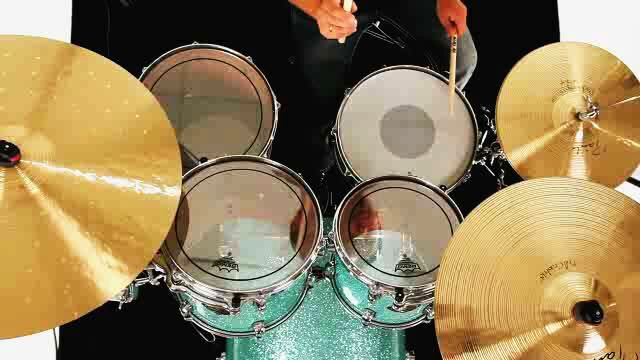 In Australia, there are exclusive drum lessons in Melbourne VIC that can teach you to learn more about drumming, which can result to reaping of more benefits. Below are three ways by which plying drums helps in reducing stress. According to Dr. Ann Webster, the immune system is significantly affected when it suffers from stress. When the body is stressed, it’s not able to function properly and perform its normal functions. The body gains an increase in stress hormones level, which makes it unable to produce killer cells that combat unhealthy elements inside the body. When this happens, the body is made vulnerable to the progression of different diseases. Thus, it is vital that the body is returned back to its balance state. It is crucial to really reduce and fight stress. When playing drums, the body lowers its levels of stress hormones and blood pressure. Drumming, being a physical and fun activity, effectively reduces stress. This works like the process of venting out or throwing your stresses away through hitting of the drums. All the bad energies are released and what’s left are relaxed muscle tissues, clear thinking, and balanced state of the body. When the body is relieved of stress, the immune system gets a boost as well. According to Dr. Barry Bittman, a cancer expert, engaging in group drumming sessions greatly helps in increasing the production of cancer killing cells. This makes the body more powerful in fighting cancer and numerous types of virus. One effect of stress is the unhealthy way we communicate with the people around us. We tend to relay our stress to others through shouting at them or any other inappropriate behavior. Drumming, particularly group drumming, doesn’t just relieves us of stress but it also teaches us to cooperate and communicate with others in a friendly, fun and coordinated manner. During group drumming sessions, everyone is following the same beat and rhythm, which makes connecting with others very successful. When the body is exposed to stress every day and you’re not doing anything to combat it, it could lead to the accumulation of negative feelings that could result to emotional trauma. This is why it is important that you are always conscious of the fact that your body gets stressed every day. However, when it has already been stressed for a long time, drumming can greatly help in releasing them particularly the negative feelings and emotional trauma that developed with it. Due to the prevalence of disorders related to stress and emotional trauma such as Post Traumatic Disorder, the drum therapy was developed and is now being used to address and treat these disorders. When playing the drums, the body undergoes the process of physical stimulation, which effectively removes blockages and, consequently, releases the negative emotional feelings and trauma. According to Ed Mikenas, a music educator, drumming is an activity that puts emphasis on self-expression and teachers the drummer to rebuild his or her emotional health. When there is self-expression, plus the integration of different emotions, other issues such as violence is also successfully addressed. With these benefits of playing the drums, we can effectively beat stress and live a more productive and happy life every day. For some people who have experienced the benefits of dry needling, they describe this acupuncture – inspired non-pharmacologic chronic pain management as nothing less than transformative. The practice is now largely considered a mainstay in the management of chronic pain in major physical therapy clinics in major cities all over the world. Actually, St. Kilda Road Physio clinic is one of the establishments in the said area known for its well-founded and well-documented dry needling techniques which are effective in the management of chronic pain in their patients. Dry needling is pretty much similar to the Chinese version of acupuncture that relies on the meticulous palpation of certain ‘ah shi’ points all over the body. Chinese acupuncturists use low gauge needles to be inserted into these ‘ah shi’ points to unblock the flow of ‘qi’ or life energy. Dry needling is the Western version of the acupuncture and is largely known as myofascial trigger point dry needling. In other countries it may be referred to as intramuscular stimulation. The principles are basically the same. Sterile needles are inserted into points – both trigger and motor – in the muscle tissue to provide a form of pain relief. Western or not, the technique of dry needling utilizes the in-depth knowledge of human anatomy, particularly the different meridians or channels of the body that correspond to different organs and structures. It is believed that all body organs are connected by the different nerves and that stimulation of a certain nerve will bring about a certain change in the affected body part. Although there is much study left to be desired in this subject matter, the mere fact that acupuncture is regarded as one of the oldest treatments in the world, that it has been generally accepted as true, then myofascial trigger point needling may be effective as well. Dry needling’s peculiar similarities with acupuncture make it a great treatment option for patients with muscle pain or chronic pain. It has been shown to be very effective in the relief of pain in the shoulder, the hips, the heels, and the back. It has been even shown to be effective in the management of certain chronic pain that is triggered by neuropathic pathways. Neurogenic pain is one of the world’s most excruciating types of pain. Because pain signals itself are brought to the brain for its perception, pain that originates from the nerve itself will flood the brain with pain signals. Experts and scientists believe that blocking this nerve pathway can somehow relieve the pain symptoms. However, current approaches are a bit invasive and will require the injection of substances that will numb the nerve itself or somehow block it from sending signals. Muscle trigger point dry needling may finally provide the answer to this need for a safer alternative. Exactly how it can do this remains to be carefully studied. Nonetheless, there is mounting anecdotal evidence that certain neuropathic pain have responded quite well to dry needling methods. The major use of dry needling is in the relief of chronic muscle pain believed to be brought about by abnormal ‘knots’ in the muscle tissues. By stimulating specific trigger points, it is generally taken that this will ‘un-knot’ the muscle tissues to relieve them of the pressure that gives rise to the sensation of pain. Under study is the use of dry needling on several patients with mobility problems such as those who have experienced partial nerve injuries brought about by surgical procedures on the spinal cord. Dry needling is also being investigated for its effectiveness in improving muscle strength and tonicity in patients who have suffered a cerebrovascular accident or stroke. More and more physical therapists are incorporating dry needling techniques in their arsenal of physiotherapy treatment options. Since the mandate of physical therapists is in the alleviation of impairment and the improvement of functional limitation, it is largely regarded that the principles of dry needling can work well towards the achievement of the profession’s goals. The core of physiotherapy education provides the foundation for the integration of dry needling into the practice of physical therapy. Since physiotherapists have to have a great solid foundation on human anatomy, physiology, and biomechanics, they are considered to be in the best position to use the full spectrum of benefits of dry needling. Whether dry needling will gain worldwide recognition and acceptance as a credible and effective treatment option for individuals with chronic pain remains to be seen. As in many non-traditional forms of treatment or techniques, there are bound to be dry needling critics who will hamper its full adoption by the medical and physiotherapy communities. With continued efforts to provide factual evidence to its effectiveness, dry needling will be a significant contribution in the management of chronic neuromuscular disorders. Insomnia makes you frustrated by not giving you enough sleep as you turn from right to left while lying on your bed. It really takes a toll on you. Those who are suffering from extreme cases of insomnia are likely to suffer from diabetes, heart disease and high blood pressure in the future. It produces symptoms like fatigue, irritability and lack of ability to focus. Insomnia is caused by various factors, including stress, medication, extreme weather conditions, certain health issues, and lack of nutrients like calcium and magnesium. Sooner or later, people struggling with insomnia will consult with their doctor for some cure. However, sometimes medication can make the problem even worse. This condition can be treated by a variety of healthy foods and home remedies instead of taking over-the-counter sleeping pills. You can visit a Melbourne shop though, to buy what you need as you deal with your insomnia. So, here are some essential foods to make you sleep better. Sesame seeds, chia seeds, pumpkin seeds, walnuts and almonds are rich in calcium and magnesium, the two minerals that effectively promote sleeping. The unsaturated fats present in nuts increase the levels of serotonin, while the protein in the seeds maintain a steady blood sugar levels to prevent you from waking at night. Eating kiwi fruit can have a significant benefit for sleep as it has high levels of antioxidant and serotonin. The consumption of kiwi on a regular basis was connected to the considerable improvements to the hours of sleep and its quality. Honey is efficient in promoting a deep and recharged sleep. By taking a teaspoon of honey before going to bed, you are re-stocking your liver with glycogen so the brain does not trigger a stress response, which usually happens when the glycogen level is low. Honey also plays a role in the melatonin discharge in the brain, given that melatonin is known to relieve sleep disorder. Apart from being packed with fiber, bananas are an excellent source of magnesium and potassium, which both work as muscle relaxants. When the muscles are relaxed, it is easy to let go of stress and drift into a deep sleep. Bananas also have Vitamin B6, an essential micronutrient that helps in the production of serotonin in the body. Sweet potatoes are loaded with Vitamin A that help boosts the immune system and improve the ocular health. Besides being a super food, potatoes also help fight sleep deprivation. They are excellent source of potassium, which stimulates the muscles to relax. Also, sweet potatoes have B6 and sleep inducing carbohydrates. Grapefruit is rich in Vitamin C, which is necessary to maintain a strong immune system. It is also a source of sleep-friendly dietary fiber and vitamin B. On top of that, grapefruit is a good source of lycopene, a pigment that is associated with better sleeping habits. This ranks on top of the glycemic index, which means the body is digesting it slowly, then gradually releasing glucose in the blood vessels. A study discovered that eating jasmine rice a few hours before going to bed reduces the span of time it takes to fall asleep. This in turn, leads to the release of serotonin and tryptophan in the blood vessels, which are great promoters of sleep. In general, carbohydrates are great for sleep but not to the point that you binge on a box of cookies at night. Instead, eat a bowl of shredded wheat or Kashi that contain complex carbs. A cereal with milk is even better, as it has its own sleep-promoting properties. You are getting two benefits for the price of one. Some other complex carbs are buckwheat, barley and quinoa. Toast is known as a fantastic breakfast food, but studies have shown that it can also be an effective bedtime snack to help you fall asleep. It is made up of carbs that boost the blood sugar level in the body. To counter this kind of increase, the body releases insulin which is found out to be a promoter of sleep. In addition, insulin is a contributing factor for the release of the relaxing agents in the body such as the tryptophan and serotonin. Aside from having a delicious taste, cherries can help you sleep better as well given that they have huge amounts of melatonin in them. Being full of melatonin indicates that it can regulate the sleep pattern much better and that eating them one hour before you go to bed can put you to sleep the moment you lay down on your bed. Insomnia can be the result of a variety of reasons which may include personal or professional matters. If you think that sleeping is something that is rare in your daily life, it is time to try the essential foods mentioned above to help cure your sleeplessness. Life today is not how it was used to be. People have progressed to the modern day and age that come with the advancements in all areas imaginable. But along with the breakthroughs in science, technology and other fields, these have made us pay a price with our mental peace. With stress, it can be all sorts of things. The effects of stress on the health are many and these can affect the efficiency, performance, mental state and happiness of a person. It even affects the overall health. If you know how to handle stress, then you can keep yourself away from it. Given below is a list of the 8 best methods to help you relieve from stress. The first step is to know the factors that give you stress. It is not necessary that you identify all the factors that trigger it, especially if they are not that obvious. You can make a mental note of what triggered the stress by remembering scenarios and incidents of that day. If you cannot remember anything, try to make a journal so your thoughts and feelings are documented and that can help you recall the things resulting to stress. Once you know what is triggering the stress, then you can do something about this. More often than not, you put yourself under so much stress because you expect a lot from yourself. The stress that is self-inflicted is hard to manage as it is you who are causing it. Try to look at the bigger picture, recognize that your problems are not really as blown out as you believe they are. This will significantly help you if you learn to get rid of your pointless expectations. Another stress reliever is the massage therapy. Bear in mind though that a massage is not the answer, but it can surely calm you down and can help you loosen up. No matter what dilemma you are going through, it still has to be dealt with. And so, do not have a massage with the expectation that your problems will vanish after the massage. 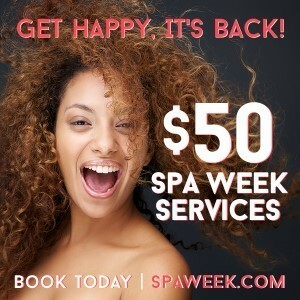 However, massages are pampering times that will help you relax and enjoy. One of the most recommended stress relief techniques is the breathing exercise, which can be done at any time during the day. You experience palpitation and irregular breathing when you are stressed. 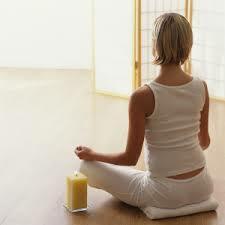 You should focus on your breathing pattern and try to do some deep breathing. It is one of the best methods to relieve stress. When you take deep breaths, a huge amount of oxygen goes into your body. This particular inflow of oxygen aids in calming your muscles, relaxing your mind and waking up your brain, and thus alleviating your stress. Keeping a positive attitude will help you reduce stress to a great extent. If you have a problem with your friends, make an effort to fix it with a talk. If that is not possible, then accept it and just ignore the problem. In most cases, a positive attitude can help straighten out the problem much faster and help in alleviating stress in a better way. It is an important requirement, if you are looking for effective methods to handle stress. If you know how to manage your time, your work gets done easily and this leads to coping with stress that you experience every day. Time management also helps you to meet deadlines efficiently. With regards to multitasking, while it helps to complete your work fast, it may give you more stress due to an active way of thinking needed. For that reason, it is best to avoid it. Forming and keeping relationships plus having a solid support system, will help you in preventing and addressing stress. It is important that you stay in touch and socialize with your family and friends every now and then because all these bonding activities help you in reducing stress. Expressing your feelings with your loved ones is just like talking to a therapist. Exercising plays a vital role in maintaining your physical and mental health. If your work is so hectic that you cannot go to a gym, you can try some workout routines in your own home that are easy and can keep you in top condition. There are some stress management exercises that you can do, even at your desk. Set out a schedule and be regular in performing exercises, because this will help you eventually. To conclude, if you really want to destroy the stress monster that is eating up the positive things in your life, you need to take control of your thoughts and actions. 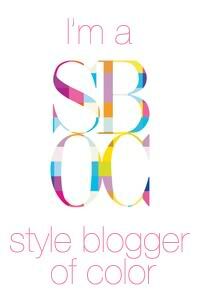 If you are interested in enriching your knowledge with articles such as this, click here. Rich in antioxidants and acting as a shield against free radicals -the free radicals are basically those atoms or groups which have unpaired electrons which are formed when oxygen interacts with some selected compounds. The created reactive radicals initiate the chain reaction and then they react with the cellular elements and tissue layers. Because of these free radicals, the cells perform poorly or even die off. For fighting such free radicals, the defence system of body makes use of the anti-oxidants. 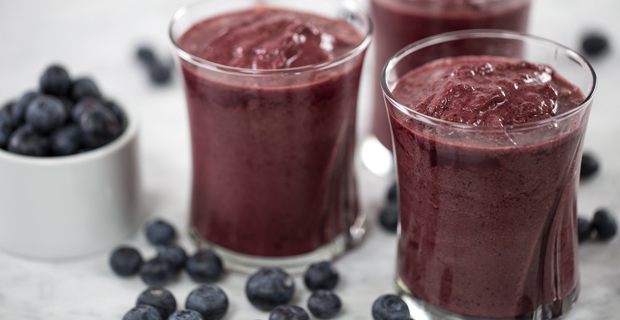 The juice of acai berries is 4 times richer in anti-oxidants as compared to other supplements along with flavonoids and anthocyanins which eliminate free radicals from the body which can be a cause of various disorders of body including tumours. Helps in losing weight- it has fat reduction properties. Because they enhance the metabolism of body which helps in burning off the excessive fats and thus shed pounds at a faster rate. Also it elevates the energy levels in the body. 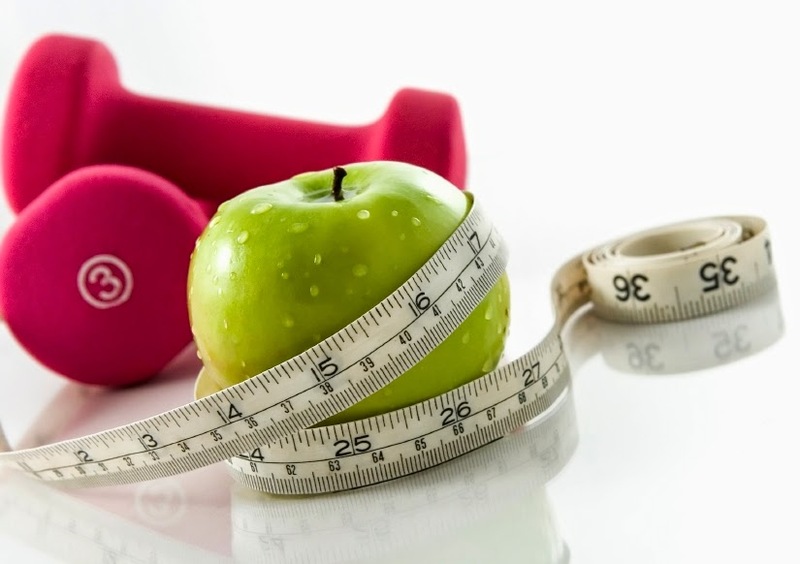 If it is consumed with a wise plan of diet, then exceptional effects in weight loss mechanisms can be seen. 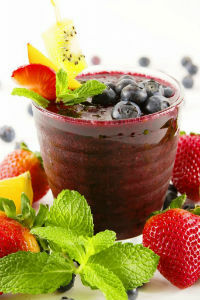 But while consuming the juice of acai, prevent consumption of the grilled or barbequed meat as it can defeat the benefits of the juice. Also the cholesterol in blood is reduced and defence system of the body is raised to a better level. Check out my previous article about seven benefits of using aloe vera products here.